If you’re even considering purchasing a Loft in the next year, the time to start the pre-approval process is now. Why so early? Here’s some advice to get you on track to a smooth purchase transaction. 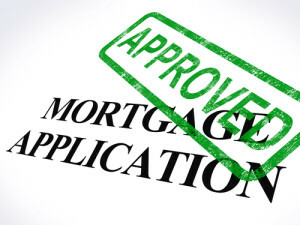 While you don’t want to actually apply for the loan until your are ready to make an offer on a Loft, working on the pre-approval process allows you to address any concerns that crop up on your credit report, save for extra downpayment, and know how much you can afford before you fall in love with that out-of-reach Loft. Loft hunting without knowing how much mortgage you can be approved for is like a novice making a cake without following a recipe. It might turn out okay, but more likely it will be a disaster. In a competitive market, you might find the perfect Loft, but can’t make an offer on it because you don’t know if it’s even in the ballpark of what you can afford. That Loft could slip through your fingers because other—more prepared—buyers know what fits their budget or overall financial situation, and can make the offer at once. Many sellers, or their agents, reject offers from potential buyers that do not have a preapproval letter from their bank. When the buyer has a preapproval letter, the lender has already verified the borrower’s information, documentation, employment history, income and credit. Even though the preapproval is not an actual loan commitment, it is farther along than without it, and can shorten the underwriting process and loan approval process. Just because a friend, co-worker or family member got approved for a certain amount, that doesn’t mean you’ll qualify for the same amount, even with a similar credit profile. In fact a survey by NeighborWorks America discovered that while 40 percent of new Loftbuyers seek advice from family, friends and acquaintances, only about 16 percent seek advice from a real estate professional early in the process. Changes in employment — changing positions, employers, compensation structures (from hourly to commission, for example), or other situations can affect final approval for a loan. Make sure to keep your lender in the loop if your boss offers you a different position, or an invitation to your dream job comes at the same time you’re shopping for a new Loft. As your real estate professional, we can steer you in the right direction before you get too far in the process of Loft shopping. We know lenders that can meet your needs and give you direction on which types of loans might work for your situation. Call us to get started today.